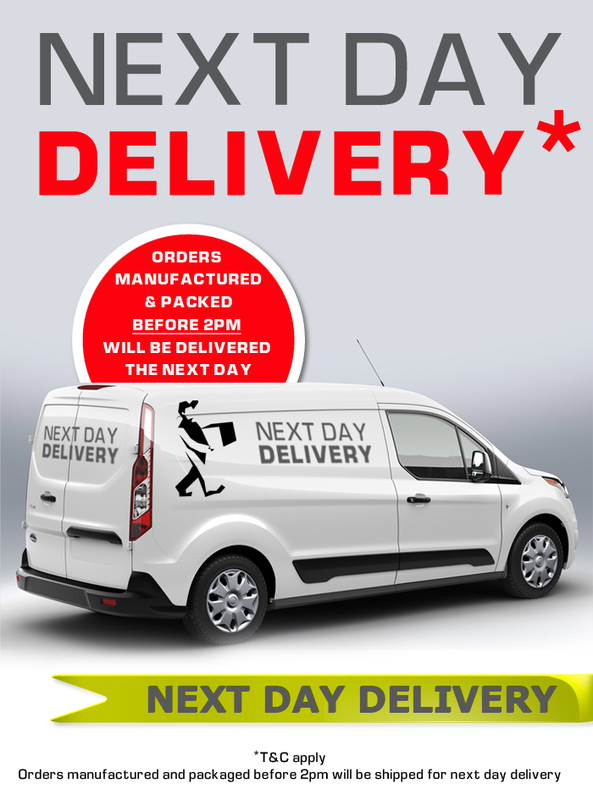 With our state of the art production facility, cost effectiveness, fast turnaround times and free professional design services we hope it excites you to say we offer “Next Day Delivery”. This means that once you have approved your order we promptly pass to our production department for manufacture. Once your order is made and wrapped it will ship out and be with you the very next day! Orders will be shipped during business days i.e. (Monday – Friday). Excludes bank and public holidays. Orders manufactured before 2pm will be delivered the next business day. Orders manufactured after 2pm will be delivered in 2 business days. No other fine print or hidden policies! We look forward to creating your design and manufacturing the sign you require.